Aston Villa, Newcastle or Norwich: Where will Darren Bent play his football next term? Darren Bent has always scored goals, wherever he has been. For whatever reason he isn’t held in the esteem of the likes of Jermain Defoe or Peter Crouch, but he has an excellent goalscoring record. 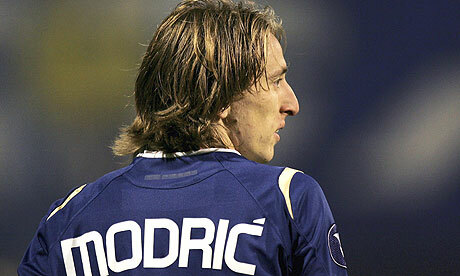 He is a victim of his own type; the player who ‘only’ scores goals. Because his touch isn’t pretty and his game is based on pace and goal getting, he can be a bit frustrating. For this reason, he’s only had a brief spell with Spurs as a chance at a top club. Even there his record wasn’t too bad, but it is remembered more for the glaring misses, chances that Harry Redknapp’s mother could have scored, than his near one goal in three 25 goals in 79 appearances. Compared to Peter Crouch at Spurs (24 goals in 93 games) it’s not too bad and only marginally less than Jermain Defoe’s goals per game ration at the club. But aside from that Spurs spell, his ratio has been nearer to, and often better than, one in two, the holy grail of the striker. His career ratio is one goal every 2.3 games. Which compares favourably to the likes of Robbie Keane (1:2.7) Crouch (1:3.3) Defoe (1:2.4) and even Wayne Rooney (1:2.2). Bent has always shown pedigree and always scored goals. And yet he is not thought of as being in these players’ calibre. 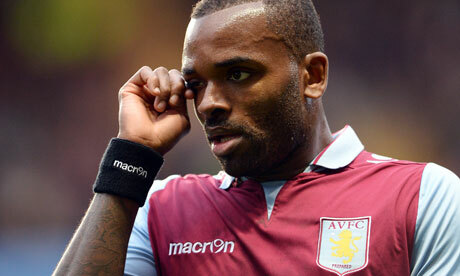 Aston Villa paid Sunderland £18m for Darren Bent in January 2011 to help them out of a relegation battle. He rewarded them with nine goals in 16 games over the rest of that season. He was then in and out of the team, many suspecting it was to avoid paying Sunderland extra money, but still managed nine in 22. However, last summer saw the arrival of Paul Lambert and the pursuit of a different transfer policy. With him came youth and lower wages. 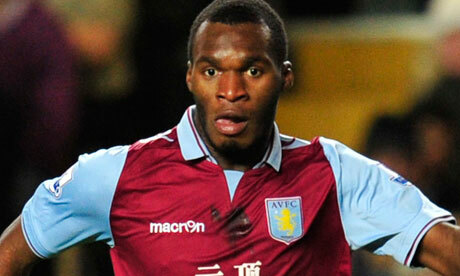 And most importantly, Christian Benteke. The young Belgian surged in to the team and with Andreas Weimann and Gabriel Agbonlahor either side, gave Villa a dynamic front three. But no place for the £18m man Bent. With this in mind, and Villa’s desire to keep trimming the wage bill, Bent looks almost certain to leave this summer. There should be no shortage of takers, but where will he end up? Newcastle have been linked most prominently in the press and the arrival of Joe Kinnear has added to this. On the understanding that he wants a striker and will prioritise the domestic market, Bent looks like an obvious solution. Never mind his ex-Sunderland days, they need a goalscorer. Much will depend on the future of Papiss Cisse though. Bent will not move anywhere that will result in him sitting on the bench. But Newcastle pay Cisse to be a starter. There is only room for one. Norwich are making a real effort to improve their goal getting and the pace and movement of Bent will look very dangerous next to the equally swift Ricky van Wolfswinkel. Norwich have some nice creativity in wide areas with Robert Snodgrass and Anthony Pilkington but need pure goal scorers. Bent is capable of getting them 15-20 with good supply and he’d be a nailed on starter. Stoke have to be in play for Bent. New manager Mark Hughes needs to add goals to an otherwise awful attack and Bent gives them the kind of poacher they don’t have. They’ve got a group of variously talented strikers but none are pure goal poachers. They also need to add players who can make chances mind, but what few chances they do get need someone to put them away. They’ve got some money to spend too. Hull are a decent outside bet as it was under Steve Bruce that Bent enjoyed his best form for Sunderland. They need to show the kind of ambition to persuade him to come though, but if they can add a few creative players they might be able to persuade him. Whoever gets Bent is in all likelihood getting a bargain. Villa are not in a strong negotiating position given that it’s pretty common knowledge that they want rid. A bid of £5-6m could end up getting the buyer a 15 or even 20 goals striker with the right supply line and total confidence in him to let him start every week. 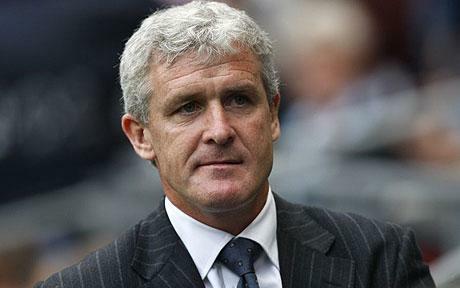 Can Mark Hughes be a success at Stoke? Before he went to QPR, Mark Hughes’ reputation was still strong after a good single season at Fulham, which followed what was widely regarded as an unfair sacking by Manchester City. The reason he had gotten the job at City was because he had managed Blackburn to a top-six finish in 2005-06, and he got that job because he very nearly took Wales to Euro 2004, which would have been their first tournament for 50 years. 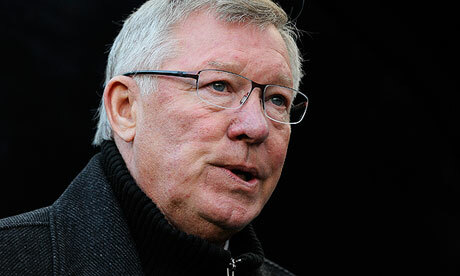 This is a man with proper managerial pedigree. Really, Stoke are appointing him for his achievements in all his other positions. He did amazingly well with tiny budgets at Blackburn, with inferior players with Wales and maintained the Roy Hodgson momentum at Fulham. Blackburn and Fulham were mid-sized clubs who needed a steady hand at the tiller and a good eye for a bargain in the transfer market. Sounds like Stoke right? Well, not necessarily. Hughes failed spectacularly at QPR and underachieved to some extent at Man City. Both of those jobs had exactly the same remit; big money, take the club on to the next level. At City, he tried to ease in Premier League players such as Joleon Lescott, Craig Bellamy, Gareth Barry, Shaun Wright-Phillips and Roque Santa Cruz so that City could more smoothly transition from mid table to top table. Also snuck in there were Vincent Kompany and Pablo Zabaleta. His plan was actually working pretty solidly, and despite the heinous amounts these players cost, they were heading in the right direction. However, they weren’t getting there quick enough for the new owners, and he was sacked. At QPR then, baring his previous experience in mind, he tried to do things much quicker and at a club with much smaller cache than Man City. City had already been growing under Sven-Goran Eriksson so Hughes was adding better players to an already good squad. At QPR he was adding wholesale to a squad that barely survived relegation. 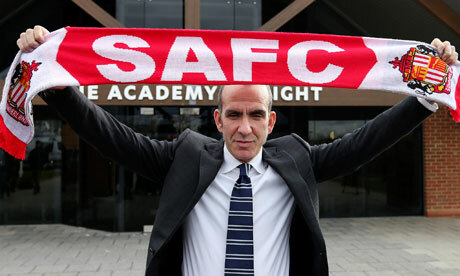 He had to sign, or chose to sign, players who were only coming to the club because of the money offered. He went on a trolley dash, picked up whoever he could and tried to see what he could make of it. Unlike at Blackburn or even City, there was no plan, no end game. This is what makes his arrival at Stoke so interesting. 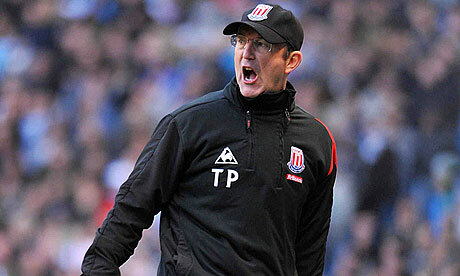 Stoke sacked Pulis because he can’t take them to the next level. They are the third highest net spenders in the league over the last five years and still haven’t cracked the top half. So, this is kind of similar to Hughes’ Man City job because at Stoke he will have a relatively big budget. The problem is, what is the next level? The top ten perhaps? The trouble is that the Premier League mid table is so congested and teams can’t sign from each other as they all have similar budgets and ambition. Because of this, he will have to pay bigger sums to get minor improvements to his squad if he shops domestically, which is a very dangerous path and immediately puts a target on his back. It won’t be easy for him to decide on a coherent market strategy. However, he has now got the experience of this type of job and should now know what not to do, which gives him a real advantage. Stoke have more pedigree than QPR and thus this is more like the Man City build. The other question is about the type of football he will play and in this sense he is a good bridge to better stuff. His teams never played beautiful football as such, but it was much nicer than what Stoke fans are used to seeing. But importantly, it’s not too different. He doesn’t need to change things wholesale to get them playing better, as someone like Roberto Martinez would. He will be comfortable with the more industrial players and more tolerant of the creative players. As a former striker he has an empathy for creators and goal scorers, something Pulis never had, always preferring industry. Stoke City have a rock-solid defence and goalkeeper, which is a good foundation, similar to what Hughes had at Blakcburn and Fulham. If he can find the right attacking weapons then there is no reason why he can’t get Stoke playing better football in the top ten. He will have the money available to do so and in all his previous jobs has shown he can spend adroitly. He needs to remember what he’s learned about pacing the change properly and he can be a big success. While most eyes will be on Wembley this weekend for the FA Cup semi-finals, there are still some massive games in the Premiership with a number of teams looking for the precious three points. A massive derby game on Sunday at St James’ Park, with a huge three points on offer in this relegation battle. After their last-gasp victory against Fulham last Sunday, Newcastle know that three points here would all but secure their place in the Premier League for next season and possibly condemn their nearest rivals to a place in the relegation zone. After an encouraging performance at Stamford Bridge, Paolo Di Canio will have his team fired up and want them showing the same passion that he will undoubtedly be putting across on the touchline. Sunderland may well see this as a big opportunity with Newcastle playing on Thursday night against Benfica and they may well find it tough to get themselves up for another big physical effort just over two days later. This fixture generally produces goals, cards and talking points so a high scoring draw may well be on the cards, and with a lot of combative midfielders on the pitch a red card or two would not be a surprise. A big game at both ends of the table as Manchester United travel to the Britannia to take on a Stoke City side who have been dragged into a relegation battle. Only Reading are in worst form in the last six games than the hosts, who haven’t won in their last six league games and have only won one of their last six at home. Manchester United meanwhile are at the top of the form table and have not lost an away league game since defeat at Norwich in November. Stoke now sit just three points above the drop zone after the damaging home defeat to Villa last week and as the lowest scorers in the division and their usually tight defence beginning to leak goals, they are in real danger of falling back into the Championship. The last thing Stoke need now is a visit from the champions elect. Manchester United will be stung by their derby defeat on Monday and they know that defeat here will give Manchester City a chance to get back into the title race. The first goal here will be crucial as the Stoke fans will try and create their famous intimidating atmosphere straight from kick off, an early goal for United and it may well be another easy away day for Sir Alex Ferguson’s men. If Stoke could manage to get in front though a positive result will surely act as a springboard for them to retain Premier League status. Another massive game down the bottom as Paul Lambert’s young side have an opportunity to put some daylight between themselves and Wigan, who are in FA Cup action this weekend. After their impressive win at Stoke last weekend, which dragged them into trouble, Villa could take a massive stride toward safety by making it back-to-back wins. One problem for this Villa side is playing in front of their home fans as they have lost four out of their last six home games. The young players seem to freeze in front of their own fans and play with much more freedom in their away games. Fulham meanwhile have picked up slightly with their away form, losing just two of their last six games but they are generally poor on their travels and now that they are safe for another season Villa’s extra need for the win may sway this fixture in their favour. The draw for the group stages of this season’s Europa League has thrown up a number of difficult and interesting challenges for England’s representatives, with qualification through to the knock-out stages far from assured. This term it will be up to Tottenham, Fulham, Stoke and Birmingham to do the nation proud, and test their wits against some cultured European opposition. Tottenham were drawn in Group A, and have been given one opponent on their doorstep, and two on the other side of the continent. Shamrock Rovers, Rubin Kazan and PAOK FC will look to further frustrate Spurs fans after their slow start to the campaign, and will have taken comfort in Harry Redknapp’s men being outplayed and beaten by both Manchester clubs in the space of six days. The Russians will provide the most difficult opponent, and were unlucky not to make the Champions League; Kurban Berdyev’s side lost out narrowly to Lyon in the qualifiers. The Tsentrainyi Stadion is a hostile environment to enter, and a host of Russian internationals and familiar face Obafemi Martins will make the away tie in particular increasingly difficult. PAOK are not the force of past decades, but, like the Russians will make the away leg uncomfortable. The Irish champions will be sure to put up a fight in the emerald isle, but may find similar treatment to that distributed to Hearts in the qualifying round forthcoming at White Hart Lane. Stoke have arguably got the most difficult task in front of them, with travels to the far-fetched lands of Israel, Turkey and Ukraine; Maccabi Tel Aviv, Besiktas and Dinamo Kiev lie in wait. Tony Pulis will be happy he has Wilson Palacios and Peter Crouch at his disposal, in what should be a tricky campaign. The Turks have European calibre and experience, and will look to capitalise on the English outfit’s lack of past action in the continent. Stoke’s direct style of play will be countered by a technically gifted midfield trio of ex-Real Madrid playmaker Guti and Portugal international duo Ricardo Quaresma and Simao Sabrosa. Kiev are top of the Ukranian Premier League currently have attacking options that could be the downfall of the side from the Britannia, with Andriy Shevchenko and international team-mate Andriy Yarmolenko sure to cause Ryan Shawcross and company problems. Tel Aviv meanwhile will be the least threatening member of the trio, but the distance to the away leg will ensure a win is not guaranteed. Fulham have a mixed group comprising Twente, OB Odense and Wisla Krakow. The Dutch side crashed out of the Champions League qualifiers at the hands of Benfica, but have a strong team; despite this a deadline day move saw Bryan Ruiz swap De Grolsch Veste for Craven Cottage, which could be the difference between the sides. OB were unlucky not to make the group stage of the top tournament, as they were eliminated by Spaniards Villarreal, despite winning the first leg. Krakow offer up an unpredictable element, but should not be underestimated as they are Poland’s current champions. Birmingham may find the going tough especially with a squad depleted after relegation and will most likely focus on their domestic fixtures in an attempt to make it back to the English top flight, rather than a European adventure. Club Brugge and last year’s defeated finalists Braga should be too strong for The Championship side, who will target the fixtures against Slovenian outfit Maribor as winnable games. The English sides will travel to the four corners of the continent in this year’s group stage, have drawn difficult opponents, and will have to be at the top of their game if they are to progress.